Introduced in 1979, the CB650 was available in two color schemes: Candy Muse Red with Maroon and Black with Red. The gas tank and side covers were 2-tone w/gold pinstripes and featured a red and gold "650" side cover decal. The wheels were black comstars. The exhaust was a 4-into-2 design. 1980 saw the introduction of the SC custom style that remained an option through the rest of the model run. 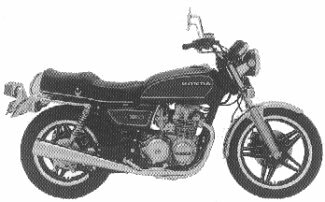 The differences between the two CB650 models was largely cosmetic with the CB650 featuring a 4-into-2 exhaust and wire wheels while the CB650SC came with a 4-into-4 exhaust with black comstar wheels. Both models came with chrome airbox trim panels and a redesigned tank, saddle, and side covers. 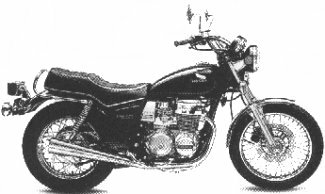 The notable changes to the base model were newly designed CB650 logos on the side covers and an adjustable air suspension. 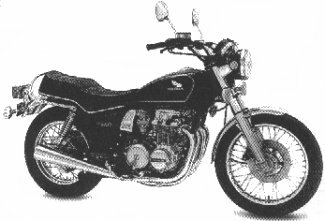 The CB650SC changes included a change in the fork style to leading axle and the addition of dual disc brakes in front. The CB650 came in Cosmo Black Metallic or Candy Bourgogne Red and the CB650SC in two-tone paint schemes , Candy Universal Blue and Metallic Blue, or Candy Muse Red and Metallic Brown. The CB650 was available in one color, Candy Muse Red. Mechanically, the notable change to tbe base model was the addition of a dual piston front brake caliper. The CB650SC's paint scheme featured a serpentine chrome stripe and two color options, Candy Flair Blue or Cosmo Black Metallic. This model featured a black engine with a 4-into-4 exhaust.